A Creationist audio guide to 100 of the of the most popular marine creatures! Did you know that the bottlenose dolphin can hold its breath for up to twenty minutes while submerged? What’s more: Do you know what sea creature has three hearts, releases a cloud of dark ink when disturbed, and has the design features for jet propulsion? 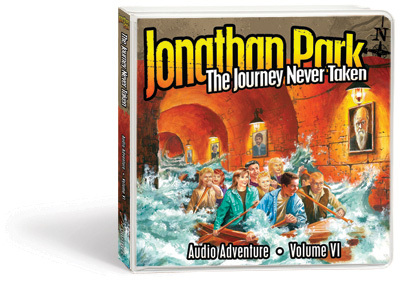 Join Jonathan Park and his father for a trip to the aquarium as they explore these and other wonders of the underwater world. Featuring one hundred, two-minute segments, this creationist audio guide to a hundred sea creatures dispels common evolutionary myths and highlights some of the most fascinating attributes that God gave each aquatic animal He designed. Filled with engaging sound effects and amazing scientific tidbits, Dr. Kendall Park and Jonathan take listeners on an aquarium excursion to remember. 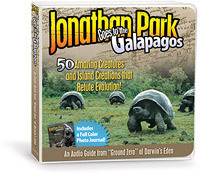 Perfect for car rides or family marine outings, this audio presentation is a great tool for training your children about the captivating creatures of the sea. Every sea creature has a story which gives glory to God. Learn about the whale shark, rock fish, and much, much more!